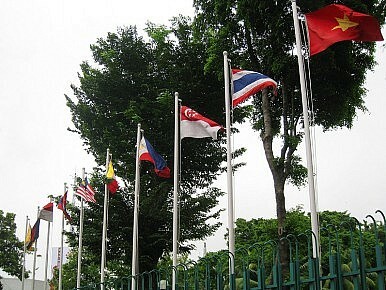 Leaders at the ASEAN summit move to strengthen mechanisms to ensure regional financial security. Leaders of the 10-member ASEAN bloc haven’t been shy in placing the Burmese by-elections, a North Korean Missile launch and Chinese belligerence over the Spratly Islands at the top of their agenda. But behind the scenes, less lofty though highly important issues are being resolved and pushed forward. Cambodian Prime Minister Hun Sen told the 20th Summit of the Association of Southeast Asian Nations (ASEAN) in Phnom Penh that his country’s chief priority for its year as hosts was the strengthening of mechanisms to ensure regional financial security. This is widely expected to culminate in a massive doubling of funds under the Chiang Mai Initiative Multilateralization (CMIM) to $240 billion from $120 billion. The CMIM – a multilateral currency swap system – was established in 2002 in response to the 1997/98 financial crisis that close to bankrupted much of the region. Back then, there was no shortage of bankers telling Southeast Asia to get its house in order. Now, politicians here are winning back-slapping applause for telling the Europeans and the Americans that now it’s their turn to put things right. In the lead-up to the summit, central bankers from ASEAN+3, which includes China, Japan and South Korea, agreed in principle to doubling the size of the CMIM. To date, those three have contributed $96 billion. ASEAN countries account for the balance, with Indonesia, Malaysia, Singapore and Thailand contributing $4.77 billion each, The Philippines with $3.68 billion and Vietnam has pitched in with $1 billion. Of the poorer countries, Cambodia has contributed $120 million, Burma $60 million and Laos $30 million. Brunei – an extremely wealth sultanate – has chipped in with just $30 million. The fund was established by the 13 countries and Hong Kong to shore-up countries during any short-term liquidity crisis, and a doubling of the fund will go a long way to allaying fears in some quarters over a potential spread of the European crisis. The CMIM’s role isn’t unlike the International Monetary Fund (IMF). In 1998, Japan attempted to establish a full regional version of the IMF, but the move was scoffed at and shot down by Britain, France, Germany and Italy, the four European members of the G-7. Their argument was that Asian countries would adopt a go-soft attitude to neighbors who found themselves financially stressed and avoid the typical IMF prescription for a bailout that involves drastic spending cuts and debt retirement that often accompanies a massive injection of funds. Fifteen years since that crisis first erupted and it’s the East Asian economies that are motoring along quite nicely while the Europeans can only watch as their region stumbles under the weight of fiscal imbalances, a euphemism for chronic debt. It’s a point that keeps winning applause, behind the scenes, here in Phnom Penh.